New Orleans gets a new beer festival on March 24. For the past two years, Red Mountain Entertainment of Birmingham, Ala., has produced the Top of the Hops beer festival on the north shore. Today they announced that the festival will move to Champions Square and be renamed the New Orleans International Beer Festival presented by Abita. 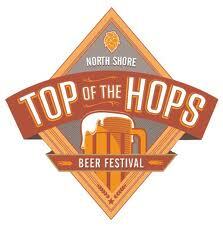 The festival features more than 150 international and craft beers, which are poured in two ounce samples. Again this year, Sam Adams hosts a “Brew University Education Area” with classes on home brewing, cooking with beer and pairing beer with food. New Orleans’ own NOLA Brewing Co. will also sponsor the Cask Beer Garden, which will serve unfiltered, limited edition beers. Tickets to the New Orleans International Beer Festival are $40 in advance. A $75 VIP ticket offers early admission and access to a special area with food and exclusive beers. Discounted tickets for designated drivers are also available. Tickets, which go on sale Monday, January 30, can be purchased through Ticketmaster.com and at the Mercedes-Benz Superdome box office.